QIAGEN is a global leader in the pharmaceutical, biotechnology, and research industries. The renovation of their North American headquarters campus includes a 52,400 sf open work environment for staff that was apprehensive about the change. 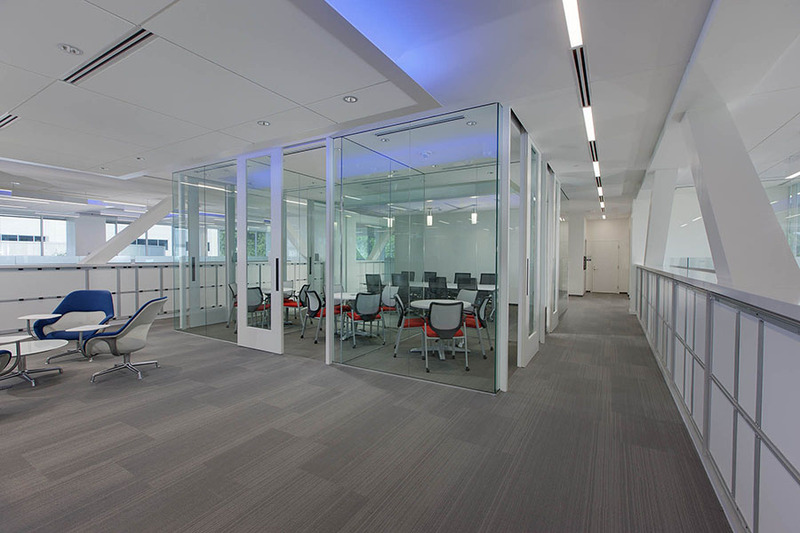 After meeting with QIAGEN staff, the design team created a naturally lit, open space plan that includes glassed private huddle rooms, private phone rooms to maintain a sense of privacy, and soft seating for teaming areas. 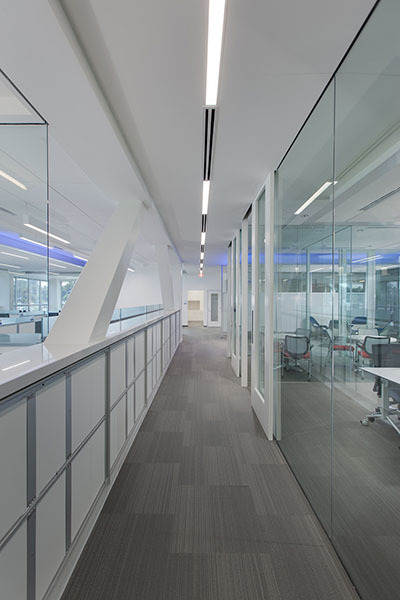 Two large glass central conference rooms break up the space while maintaining views and a sense of openness throughout. 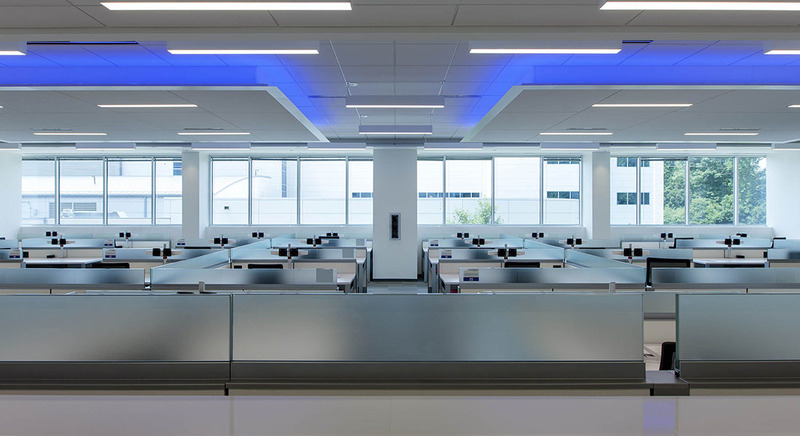 Bright white walls and white work stations help reflect natural light while creating a backdrop for the punches of red and blue - QIAGEN’s corporate colors. 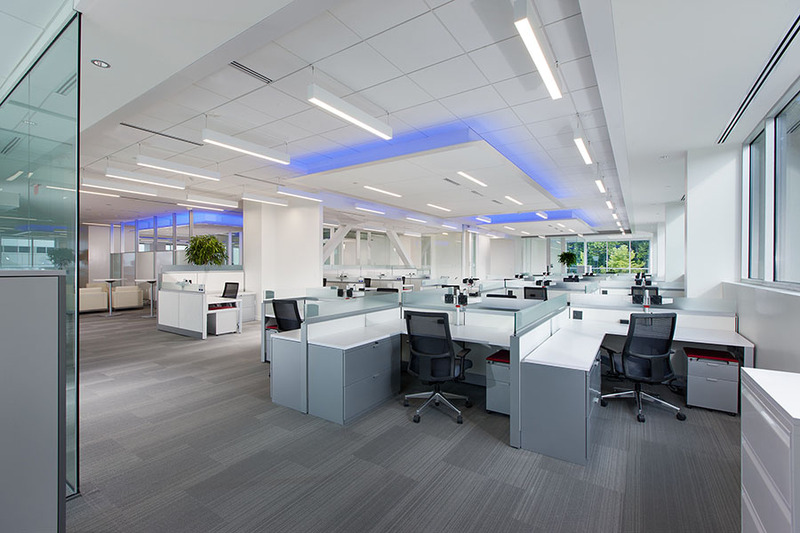 Blue LED cove lighting adds an additional pop of the corporate color.